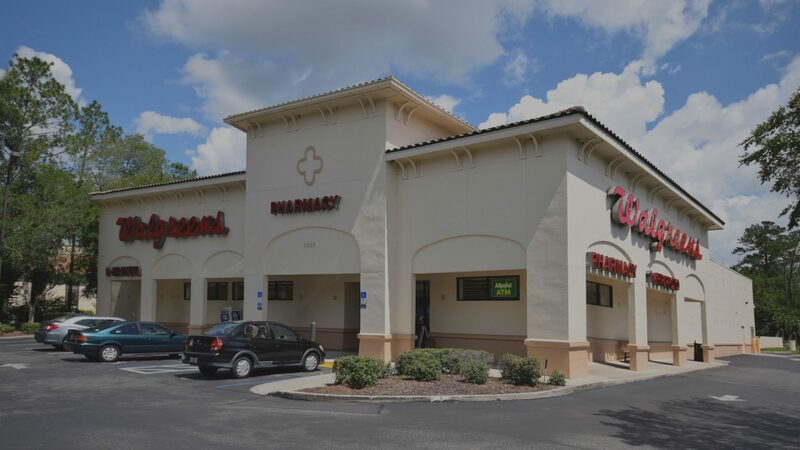 Sold in 2017, this 15,525 square foot Walgreen’s is strategically located at the signalized intersection on the primary east-west thoroughfare in the area. The intersection of Silver Springs Boulevard – the primary east-west thoroughfare in the trade area – and 36th Ave Road experiences traffic counts in excess of 48,600 vehicles per day. The Ocala Golf Club, an 18-hole golf course, is less than one-quarter mile from the property. The College of Central Florida, which has a total enrollment in excess of 18,000 students, is located approximately five miles east of the property. The Walgreens features a drive-thru and has excellent visibility and signage. Walgreens has successfully operated at this location since 1995 and has more than 11 years remaining on their primary lease term with five 5-year renewal option periods. Walgreens is committed to this location as evidenced by their recent lease extension and benefits from a low rent per square foot. National retailers located in the area include Publix Supermarkets, Kmart, True Value Hardware, Dollar Tree, McDonald’s and Wells Fargo Bank.